The relentless increases in luxury ocean and river travel that has propelled the cruise industry in 2017 to new passenger records is a clear indication that 2018 and the next five years will see a new era in global travel. Even as the Cruise Lines International Association (CLIA) counted up the record number of global cruise passengers in 2017, CLIA member cruise lines are scheduled to debut 27 new ocean, river and specialty expedition ships this coming year. Among the most interesting of those ships are the two new Ponant ships, Le Laperouse and Le Champlain, both being built by Vard Tulcae in Romania. Le Laperouse will be the first of Ponant’s four Explorer-class expedition ships. It is named for French explorer Jean-Francois de La Perouse. The ships are part of Ponant’s investment in small expedition vessels that can sail the Polar Regions as well as the rest of the world. Accommodating only 184 passengers, all four ships will feature a reinforced hull for polar exploration, stabilizers, five passenger decks, a fleet of Zodiacs for excursions and transfers, an infinity pool, an aft marina for sun worshipping and water sports, and an 188-seat theater. Each ship will have 88 balcony staterooms and four suites with bay windows and expansive private terraces, according to Ponant. “It is without question that the cruise industry continues on a growth trajectory, gaining in consumer interest and creating a positive impact on the global economy,” said Cindy D’Aoust, president and CEO, CLIA. CLIA reported cruise industry expenditures generated $126 billion in total output worldwide, supporting more than one million full-time equivalent employees who earned $41 billion in income, an increase from previous years. The global good news is impressive, but North American markets continue to pace the markets, as well. PortMiami and Port Everglades have all but completed preparations to accommodate the cruise lines giants that are coming to call and Port Canaveral has embarked upon an ambitious master planning process. Although Port Canaveral has emerged as the second busiest cruise port in the world, and is considered a leading homeport for the world’s largest cruise lines, there is plenty happening elsewhere on the U.S. East Coast, as well. Broward County’s Port Everglades has negotiated a Memorandum of Understanding (MOU) that provides the framework for a new long-term business agreement with Royal Caribbean Cruises, Ltd. (RCL) that will include complete, customized renovations of the Port’s Cruise Terminal 25 targeted for completion by October 31, 2018. Separately, RCL announced that its newest Celebrity Cruises ship, Celebrity Edge, will homeport in Port Everglades beginning in the fall of 2018. Royal Caribbean’s Harmony of the Seas, the newest Oasis class ship, began sailing from Port Everglades in November 2016. Port Everglades recently extended its agreement until 2030 that includes preferential use of five terminals, including recently renovated terminals and berths to better serve passengers sailing on seven of Carnival Corporation global cruise line brands. Larger cruise ships as long as 1,100 feet can now dock at Broward County’s Port Everglades Cruise Terminal 4 without extending into the Intracoastal Waterway. Carnival Cruise Line and six other of Carnival Corporation’s 10 global cruise line brands -- Holland America Line, Costa Cruises, Cunard Line, P&O Cruises UK, Princess Cruises and Seabourn currently carry nearly a million and a half passengers to and from Port Everglades each year. The seven Carnival Corporation brands and 28 different ships account for a combined average of more than 300 calls at Port Everglades each year. Port Everglades is consistently ranked as one of the three busiest cruise ports in the world with more than 3.8 million passengers in fiscal year 2016 (October 1, 2015 through September 30, 2016). The $18-million Slip 2 construction project, adjacent to the recently renovated Cruise Terminal 4, lengthened the slip by 225 feet from the original 900 feet. The total 1,125-foot slip length meets the needs of most of today’s modern cruise ships such as Holland America Line’s Pinnacle-class ships, which were introduced at Port Everglades during the 2017 cruise season with the U.S. debut of the MS Koningsdam or Princess Cruises’ Royal-class ships, which also homeport at Port Everglades. Ten cruise lines, one ferry service and more than 40 cruise ships sail from Port Everglades seaport including: Balearia’s Bahamas Express (ferry), Carnival Cruise Line, Celebrity Cruises, Costa Cruises, Crystal Cruises, Cunard Line, Holland America Line, Pearl Seas Cruises, Princess Cruises, Royal Caribbean International, and Silversea Cruises. PortMiami surpassed the five million passenger mark in fiscal year 2016-2017 that ended Sept. 30, welcoming more than 5.3 million cruise travelers to Miami, the highest number of cruise guests anywhere. Earlier this year Royal Caribbean International and Miami-Dade County broke ground on the cruise line’s brand new Cruise Terminal A, to accommodate the new era of cruising is scheduled to open in late 2018. The more than $200 million public-private partnership with Miami-Dade County includes the development, construction, and operation of the cruise terminal. Terminal A, Royal Caribbean designed, will house an angular glass center and a parking garage with about 1,000 parking spaces at the northeastern side of the port. The 170,000-square-foot terminal is nicknamed the ‘Crown of Miami’ because of its shape. The design evokes the points of a crown when viewed from the water; and the ‘M’ of Miami when viewed from the east or west. At night, the terminal’s facade will be lit providing a dynamic addition to the PortMiami landscape. The expansion continues for 2018 with the arrival of Carnival Cruise Lines’ Carnival Horizon and Carnival Magic; Norwegian Cruise Line’s Norwegian Bliss; and Royal Caribbean International’s Allure of the Seas, Mariner of the Seas, and the Symphony of the Seas. And PortMiami has spent about $30 million rejuvenating it’s Terminal F to accommodate MSC’s Seaside this year and MSC Meraviglia which will also be joining the Miami fleet in 2019. A moderate race has begun to dominate Asian cruising among American cruise lines while Cuba cruise traffic is also growing, but not as quickly as first expected. Cuba does not have the infrastructure to handle the tens of thousands of cruise tourists a fleet of American cruise ships might deliver. And President Donald Trump’s idiosyncrasies have installed caution in American cruise companies where Cuba is concerned. Under Trump’s current rules business contracts and travel arrangements to Cuba already in place will be allowed to go ahead and will not be subject to restrictions. The list of entities that Americans cannot do business with includes a special development zone at Cuba’s Mariel port, which Cuba hopes to develop into a major Caribbean industrial and shipping hub with tax and customs breaks. The National Foreign Trade Council, a business lobby group in Washington, called the Mariel restriction “counterproductive” because it would hurt a Cuban government initiative that could potentially benefit Cuban workers. The Cuban hotels listed as restricted included those run by military-linked chains Gaviota and Habaguanex. Senator Marco Rubio (R-FL), a Cuban-American, said the list failed to go far enough because it omitted companies like Gran Caribe Hotel Group and Cubanacan that have ties to the Cuban government. While U.S. travelers will still be able to make authorized trips to Cuba with a U.S.-based organization and accompanied by a U.S. representative of the group, it will be harder for them to travel individually, according to the new regulations. With some trepidation created by Trump and calls by Rubio and colleagues to halt Cuba visits, Oceania Cruises, Azamara Club Cruises, Regent Seven Seas Cruises, Norwegian Cruise Line, Carnival and Holland America have planned cruises to the Caribbean and Cuba from Miami and Tampa. 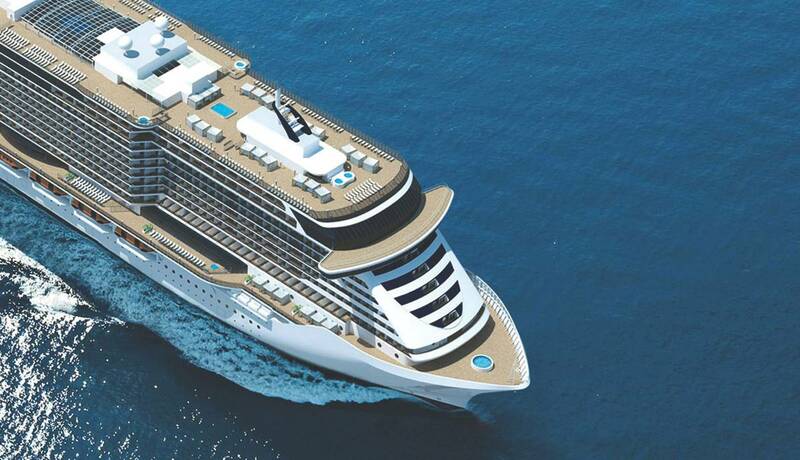 In hopes the trend continues, Carnival has made a deal with Fincantieri and the Chinese firm CSSC to deliver the first of the two ships – designed to appeal to Chinese travelers – for delivery in 2023. “This represents another important milestone in building a sustainable and prosperous cruise industry, and demonstrates our commitment to contributing to China [becoming] a leading cruise market as part of its five-year economic development plan,” said Carnival CEO Arnold Donald, in a statement. By 2020, China’s cruise market is forecast to grow to 4.5 million passengers, up from 1 million in 2015, according to data from the Chinese Ministry of Transport. And by 2030, China is expected to become the world’s second largest cruise market, after the United States. To launch operations of the first multi-ship cruise brand in China, the joint venture with CSSC initially plans to acquire ships from Carnival’s existing fleet and then add the new ships later. However, with a glut of capacity moving into China, Princess Cruises will not have a winter program in the Chinese market for the 2018-2019 cruise season. The company’s 3,560-passenger Majestic Princess was to be deployed to Shanghai for Asia cruises and was the newest ship and the first to be built and designed for Chinese travelers. With the Majestic Princess heading instead to Australia for the 2018-2019 season, the Sapphire Princess will now also move, deploying for the winter out of Singapore and sailing to Southeast Asia, the company said. In terms of additional capacity, the Norwegian Joy enters the market this year, on a year-round basis. Genting’s Dream Cruises is poised to send the World Dream to Nansha and 2019 newbuilds from Norwegian and Royal Caribbean are also set for China-based operations. Joining the list of ships earmarked for China this year is Norwegian Cruise Line’s newest ship, Norwegian Joy, ordered as Norwegian Bliss and renamed. The 3,850-passenger ship, with a remarkable electric go cart track on its top deck, Norwegian Joy is the first-ever contemporary cruise ship custom-built for China. Norwegian Joy will provide a Mandarin-speaking crew, authentic Chinese cuisine and culturally-inspired onboard experiences offering guests a fully immersive Chinese cruise vacation, according to Norwegian. In North America and beyond, cruising continues to grow and prosper, where other sectors might languish. All indicators point to more of the same in the New Year, and beyond.